Lively and pleasant enough with a youngish clientele. Plenty of ales on in good condition. Must have had a few as I don't remember leaving, but I know it was late! Worth including on a Jewellery Quarter crawl. Back in Jan 2014 I found the service at Church was very poor. Last night they was unable to serve any beer. Problems with cooler. I will return soon to try the beer. Everards pub with 3 of their ales (Original, Tiger & Sunchaser), along with Oakham Citra. Titanic Stout is on keg. 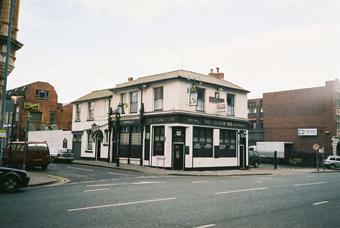 It is a corner pub with a bohemian feel, similar to the Spotted Dog in Digbeth. It has a cosy interior and an interesting mix of clientele. Service was ok, without being over-friendly. No real ciders. But they do have Westons in bottles. Was passing, so called in Stood at the bar with money in hand. 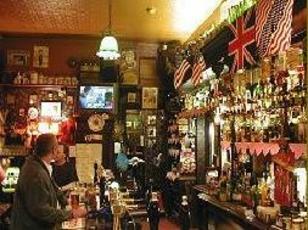 Two bar staff talking to each other regarding the t v the night before after few mins gave in and left. On the way back thought I would try again, staff still talking to each other rather then looking after customers. This is a pub with great history, will go back and hope I get the beer that I hoped for at last visit. Very good revitalised pub which serves several Everards ales (do you remember the Radnor Arms? Too long ago and too far away). Its splendid guvnors are friendly and knowledgeable. Its chips are chunky and fresh. 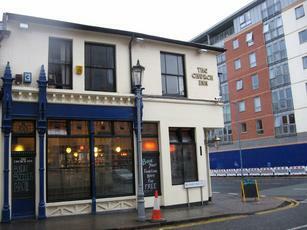 It'll sell you porter in the Jewellery Quarter and it is really rather spesh.